Dance Legend Holodays 852 New Promise. 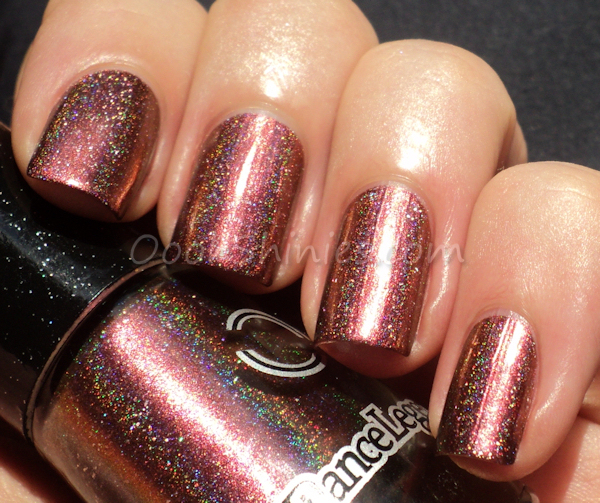 I don't find it easy to describe a polish, but here goes: the base color is copper to burgundy/purple, with rose and brown flashes, depending on the angle, and it has a scattered holographic effect that's strong enough to look linear in sunlight. Yeah, let's keep it at that, haha! 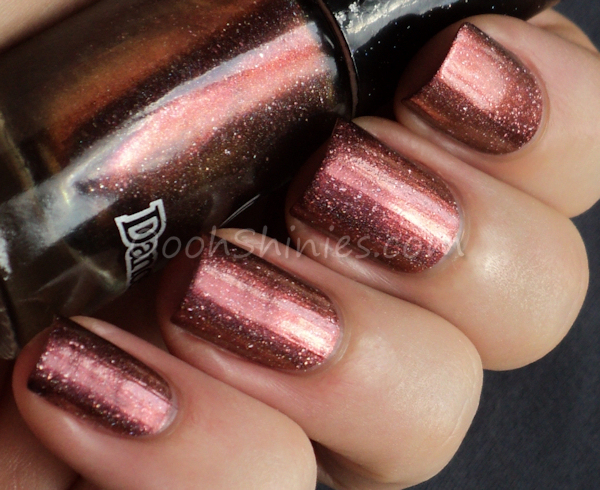 :D I wish I could've captured the daylight look a bit better on my swatches, but as I said, it'll be on the blog again with the stamped mani that I'll be showing soon! 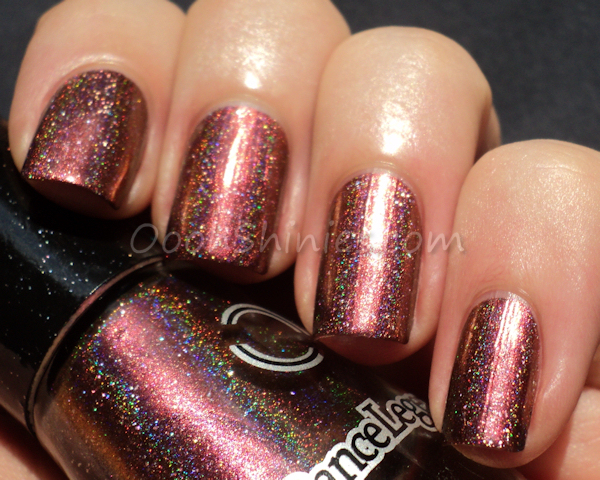 I love how this polish look awesome in every light, and how it's a mature holographic color, if that makes sense? Very pretty if you ask me!